Description: A very unique and beautiful design, these two items are sold seperately. 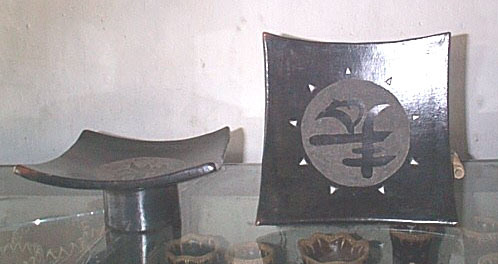 Both a large and small sized ash tray, which feautures an oriental design in the center surrounded by a circle of arrow head patterns. Description: These 3 unique vases are sold seperately, and are quite distinctive both in design, as well as texture. Description: This set features 2 bowls (medium, an small) that are wonderful designs featuring an oriental pattern. Description: A set of 3 flat bowls (large, medium, and small) which also have an added hand woven wicker rim to them. Description: A lovely set of 3 bowls (large, medium, and small) in a darker hue, also having a hand woven whicker rim and base. Really wonderful craftsmanship. Description: These two vases are sold seperately. 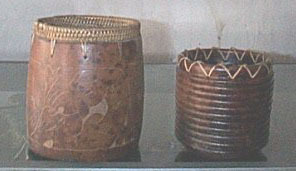 The taller one on the left has a woven wicker rim, and the smaller one on the right has an original zig zag pattern and texture to it. Description: An original design, this is intended to be a drink tray, with wooden handles and 3 indentations for carrying drinks. Makes a great conversation piece. 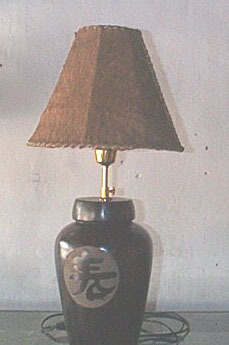 Description: A lamp made out of pottery featuring an oriental design. A very beautiful and elegant piece. Description: This is a set of 3 bowls (large, medium, and small) which features a weaved wicker rim. 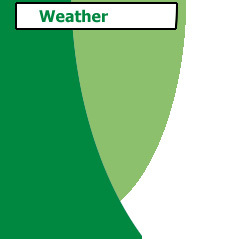 This set has a darker hue to them and is very stylish.